Aloha! Thanks, everyone, for being part of the summer fun that was tonight's Summer Fun Spectacular. 92yTribeca is a lovely venue, and we had a great time there, though I agree, the sight lines aren't the greatest in BQT history. (But I was right about the lemonade, wasn't I?) Maybe tossing around the beach ball wasn't the best idea ever, but I continue in my goal to make the Big Quiz Thing more like a Phish concert. Some behind-the-scenes details: The video round, the Trivia Color War (various traditional color-war games, each adapted into a trivia question), took a lot of work, and while I think the end product was a touch convoluted, I was happy with it. The integrity of the structure held, all the facts were appropriately factual, and everyone humored me during the Team Cheer question by singing the theme song to Cheers (we didn't have to levy anyone with the -1,000 points demerit). As for the general color war we played throughout the evening, congratulations to Team Blue on the somewhat meaningless victory. Behold their prize; we'll be giving away more at future BQTs, for future reasons. The audio round, Sounds from the Beach, was slightly plagued with technical glitches (fine, more than slightly), so it fell to me, Quizmaster Noah, to sing some of the clips. I did my best, though I apologize to any Katy Perry loyalists out there for being unable to sing "California Gurls" and resorting to merely a string of insults. Like she cares. Finally, the big Three-Way Finale: We had perennial champs Gerard Depardouche, perennial not-so-champy Fat Kids, and apparent newcomers (though their Three-Way rep, Chris, had been with us before) Bobbi Eden's Twitter Followers. 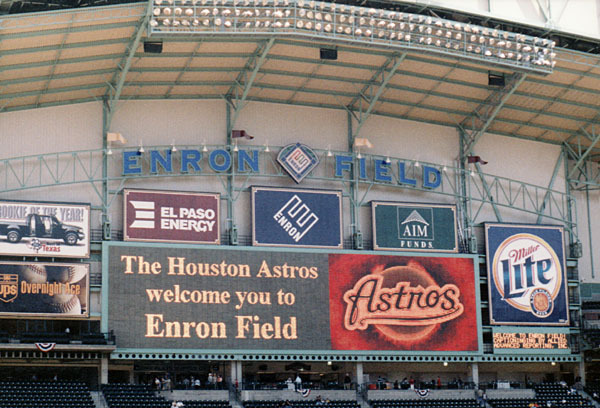 It was tense, since Buck of the Douche blazed into the lead with the figuroutable "Q: The Houston Astros play their home games at Minute Maid Park, which was renamed in 2002, from what suddenly unfortunate name?" But then the Fat Kid cruised to victory on two straight right answers, finishing with "Q: What 1986 summer movie was featured the final performances of both Orson Welles and Scatman Crothers?" And that's how we play it. That's it for July, folks (except for a crapload of private parties, and this). We're back at Crash Mansion August 16, then (probably) (Le) Poisson Rouge August 30. Keep up with the calendar. And definitely get ready for September 27, when we'll be at the Highline Ballroom for The NYC Clash of the Trivia Champions. Registration will be happening any day now here. Stay cool.